Profoto‘s John Williamson will be in Columbus February 15-16 for two awesome events. On Friday, Feb. 15 join us for the Lighting for Portraiture seminar, where John will cover everything from different lighting styles to how to set a proper exposure. Then, on Saturday, Feb. 16 we’re hosting Advanced Lighting Techniques Workshop, where John will coach participants during a real-life studio shoot at Roharik Studios with a professional model. This is five-hours of hands-on experience that will help you become a better studio photographer while allowing you to build your portfolio. There are only 12 available spots for Saturday’s workshop, so sign up today! Our 2013 Winter Photography Classes are well underway. If you’re new to digital photography, sign up for our Beginner DSLR and Off-Camera Flash Level 1 classes. (Remember: If you recently bought a new DSLR from us, you are elligible for a free Beginner DSLR class! Call the store at 866-940-3686 to register.) Our OCF classes are taught by Spekular‘s Kevin Deskins, LumoPro Product Manager and all-around OCF guru. If you are starting off in OCF, or are just getting sick of relying on available light, don’t miss OCF Level 1 and Level 2 this weekend! Our February Photo Contest, Good Things Come in Small Parcels, sponsored by SONY, is now live! Sometimes the most loved things in life are the also the smallest. Our February Photo Contest theme is Good Things Come in Small Parcels. Show us a photograph that captures the littlest thing that you love. Our February Photo Contest is sponsored by Sony. The Sony RX100 is the epitome of good things in small parcels, having been named one of TIME’s “25 Best Inventions of 2012.” The Grand Prize is an RX100 (yeah, seriously); First Prize is an HX30V, Sony’s Wi-Fi-ready compact; and the People’s Choice Prize is a W650. Yeah, you can win this. 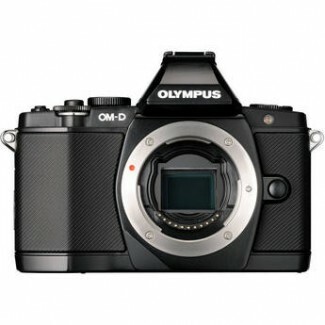 The Olympus OM-D EM5 has a $50 rebate running until February 16. The EM5 has a built-in hi-res EVF, a 16.1-MP Live MOS Sensor, the world’s first 5-axis image stabilizer, and a lightning-fast AF system. The Sigma 30mm F1.4 EX DC HSM has a $50 rebate. This is a great lens for small chip APS-C and Four Thirds sensors. This lens packs a Hyper-Sonic Motor (HSM) that gives you quiet and high-speed auto focus, aspherical glass elements to cut down on distortion, and is perfect for the portrait photographer looking for a fast prime lens. Sigma 30mm F1.4 is a fast, portrait-friendly prime lens. The Canon 60D 18-135mm IS lens kit has a rebate of $200 through February 16. Get this awesome video-capable camera kit before it’s too late! The Canon 60D is a consumer-friendly DSLR with awesome video capabilities. Keep an eye on our website, sign up for our emails, and check our blog throughout February for more exciting events and specials!